New Year, New Chance to Crush Your Goals: Announcing Our Conference! You asked; we listened: the Style Collective Conference is here! Are you a boss babe who is self-motivated, disciplined, and ready to make her dreams a reality? Are you ready to meet like-minded women, put pen to paper, and walk away feeling accomplished, rather than overwhelmed? If getting $h!t done is your M.O., then you’re our girl! 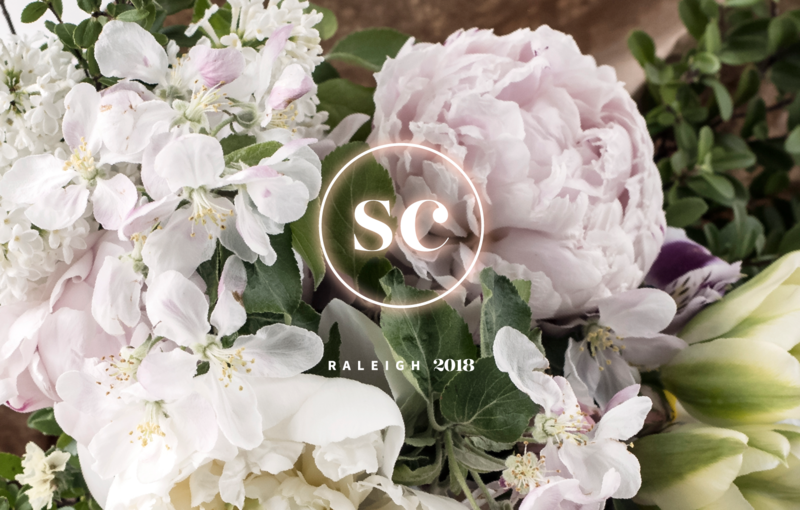 At the SC Conference, you’ll have access to an impactful two-day program full of hands-on workshops, insightful panels, bossbabe networking, delicious food, dancing, photo ops, and lots more! The Style Collective conference will be the perfect balance of learning, networking, and most importantly, doing! How many times have you attended a conference and left with a huge to-do list, but no time to actually do #allthethings? Girlbosses know: ideas are cheap, but execution is everything. You’ll walk away from the SC Conference with your entire year of content planned out, a distinct vision for your voice, brand, and what truly attracts readers and brands – and much more! We want you to be inspired, but more importantly, we want you to collaborate, learn, practice new skills, and leave feeling accomplished. This is your chance to show up and stand out from the influencer crowd! Are you reading this and internally shouting “SIGN ME UP”? Visit the SC Conference page to read more and purchase your tickets before they’re gone. Still not quite sure? Keep reading! What do you get with your ticket? Well, more than we could ever list, but here are the main points. You have admission to two full conference days (Sat and Sun, April 14th and 15th, from 9:00am-5:00pm) with access to hands-on workshops, insightful panels, and boss babe networking. You won’t go hungry – lunch is provided both days, and you can have all the coffee and snacks you need to get through the conference. We provide all workshop supplies and worksheets, plus a cute SC notebook and pen keepsake. Ticket holders will also get an amazing gift box filled with tons of goodies, including the signature scent from the conference. Feeling extra? Our VIP ticket holders get front row seating for all speakers, panels, and workshops, and an invite to the VIP cocktail party on Saturday, April 14th at the Cannon Room, with Annie and select speakers! Plus, tons of lovely photo ops for the ‘gram. Need we say more? Raleigh, NC. The historic capital city of NC is just a short, convenient flight away from most major East Coast cities, which makes it a great place to gather! We’re hosting the Style Collective Conference during the most lovely time of year: springtime. Raleigh boasts springtime weather in the sunny 60s, with plenty of bloom-filled parks, gardens, and public streets to explore (and feature in your Instagram pics!). As one of the fastest growing cities in the US, Raleigh will serve as the perfect retreat for you to learn how to grow your blog, define your brand, perfect your niche, and turn your new skills and strategies into actionable plans. And have you seen the hotel and conference center we’ll be spending our time in? It’s not your average cookie-cutter, joyless spot: The Cannon Room occupies the top floor of the Capital Club building, a fully renovated 1930s high-rise in the heart of Raleigh’s downtown. With panoramic views, lofty ceilings, elegant chandeliers, and beautiful ballroom-style details, the Cannon Room is the perfect backdrop for plenty of ‘gram-worthy shots! Arrive early on Friday and spend some time exploring NC’s capital city with your bossbabe friends, both old and new! New to Raleigh? Check out our Raleigh guide and checklist to get the most out of your visit! Ever attend a conference or seminar, take a look at the schedule, and say, “Meh – I think I’ll skip this session. None of the topics apply to me.”? We’ve eliminated that problem by going directly to the source: you. We surveyed Style Collective members to see what influencers just like YOU need most in a conference, from topics to activities, and beyond. We’ve packed the days with inspirational talks, relevant learning sessions, networking with fellow sisters from across the nation, and lunch and learn opportunities (and coffee and ‘gram breaks, too!). And you wanted a par-tay, so on Saturday, our VIP ticket holders will be welcomed back to the Cannon Room for an intimate get-together! If you’re attending our conference, we know we’re catering to a special kind of girlboss who wants to get stuff done. Who wants to learn the same basics about SEO 101? Or listen to top bloggers in the industry talk about THEIR experience “getting big,” but never telling you exactly HOW to do it? That won’t be happening here. Each themed session will dive deep into the WHAT, WHY, and HOW, so you leave the conference feeling full of knowledge, not full of more questions. Following an inspiring opening keynote from Annie on Saturday morning, the conference will be filled with sessions on topics like branding, video content, and pitching, and will feature panels of expert influencers and brands with actionable advice you can implement right then and there. We’re still working hard to select our topics with care, and develop our curriculum to assist you in meeting your specific outcomes and objectives. Each session will include participation in a small group workshop or assisted planning session, so you walk away from this experience with your to-do list full of check marks. Chatting with bossbabes on the Style Collective site through Groups and Forums – or stalking each other on blogs or IG – is SUPER fun, but nothing beats meeting these amazing ladies in person and making friends IRL. You might finally meet your girl-crush in person, or connect with your BFF/soulmate from across the country that you didn’t even know existed! The stronger we build our community, the more empowered we all become. By fostering these relationships and creating new connections, we become invested in the successes of those we know, which fuels the fire for our motivation and inspiration. It’s a beautiful cycle. Network with your SC sisters for the purpose of genuine interest and care, and that in turn will convert into a growing #tribe that won’t fade with time. Visit the SC Conference page to read more and purchase your tickets before they’re gone!